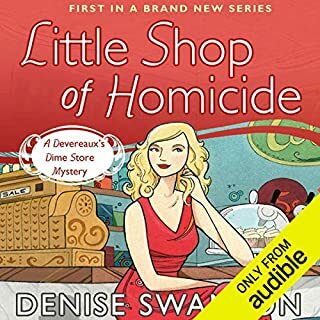 ©2000 Denise Swanson Stybr (P)2012 Audible, Inc. 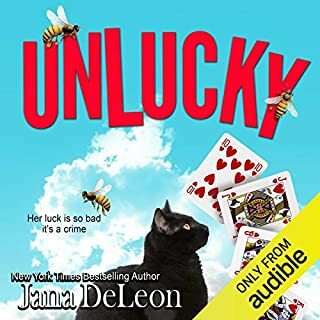 I love cozy mysteries with a lot of humor, and this series has that in spades. Skye is funny, and compassionate, and I love that mix. I've downloaded several other books in the series and look forward to them. There are a lot of mispronunciations, though, and they are jarring, because they make no sense in the flow of the story. Editors, you need to be catching these! 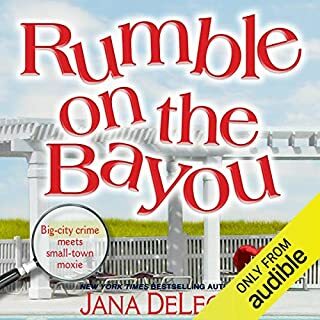 I'm so excited that Audible is going to put the first books in this series online. They are a fun light listen and I really like the characters. The narrator is great as well. They aren't deep and engrossing like some books but it's great to listen to something that can make you laugh and just enjoy the act of listening! Glad to get the beginning of the story. 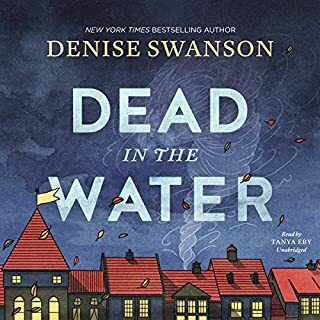 I had listened to several of the later books in the Scumble River series on audible and was very pleased to see the earlier ones start appearing. This series provides a lighter mystery that I enjoy. If you could sum up Murder of a Small-Town Honey in three words, what would they be? What was one of the most memorable moments of Murder of a Small-Town Honey? Skye and Simon's first encounter, too funny and all too real to many of us. I love audio books so I can do something else while listening, consummate multi-tasker. Khristine is easy on the ears, especially when they are old ears. Easy to understand her and good tone and inflection while reading. Can you believe this town is close to Chicago? The story is okay; not interesting enough for me to read another book in the series, but I'll finish this book. The narration (and probably some blame to the other production staff) is just unacceptable. I didn't know this author, so I previewed the first several pages as a Kindle book sample. Therefore, I know for a fact that the narrator said "investigator" when the correct word was "instigator" within the first several pages of the book. Then shortly thereafter she said "debauchery" where that word made NO sense, but the word debacle would have made a lot of sense. Really, nobody on the production staff helps with errors in reading the book, when their whole job is to record someone reading the words in the book? Then she mispronounced the word indelible. Then there was yet another word problem (at least four mistakes within the first several chapters) that I can't even remember now. Plus she doesn't have any interesting voices. You can't even readily tell when she's reading words attributed to a man versus a woman. Then I noticed her intermittent speech impediment. I went to several years of speech therapy, so I'm probably much more sensitive to hearing this stuff than others, and it is truly intermittent. Makes me wonder whether she has just a bit of a problem on the days when she's tired. To sum up: the multitude of errors and the poor production (everyone listed in the credits is responsible for me/us hearing a recording of the words the author wrote) this just took the experience below acceptable. I expect an occasional error, because we're all human. But this one has problem after problem. 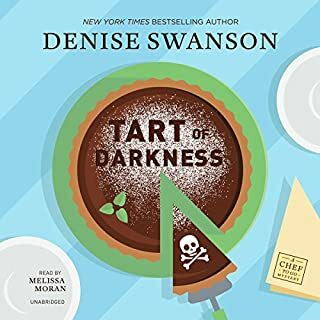 What was most disappointing about Denise Swanson’s story? What character would you cut from Murder of a Small-Town Honey? Story was a bit far fetched, too many people being blackmailed, and too easy for our heroine to figure out. However, it was good clean fun. Nice little cozy. 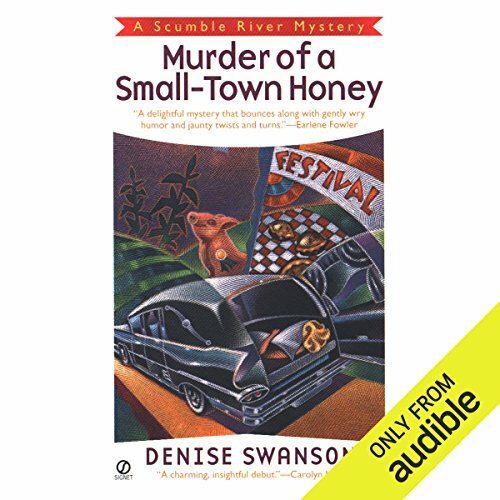 Would you listen to Murder of a Small-Town Honey again? Why? Yes! I like narrator, and the story . What does Christine Leto bring to the story that you wouldn’t experience if you just read the book?